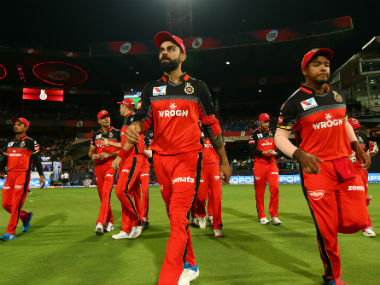 Virat Kohli (70 off 40) and de Villiers (72 not out off 37) helped RCB chase down the 182-run target in 19 overs despite being reduced to two for 18 in the third over. 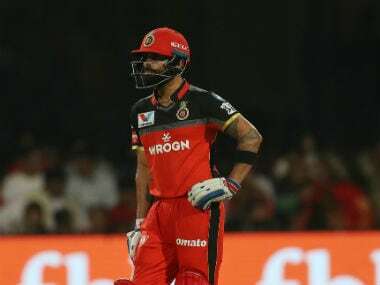 New Delhi: Royal Challengers Bangalore (RCB) lived to fight another day in the Indian Premier League (IPL)as the star duo of Virat Kohli and AB de Villiers shared a scintillating 118-run stand off 64 balls to script a five wicket win over Delhi Daredevils here tonight. 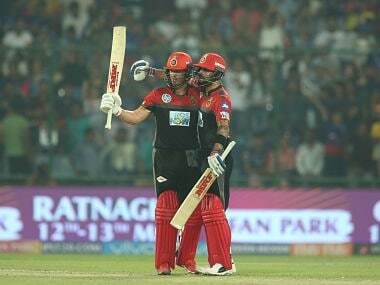 Thanks to Kohli (70 off 40) and de Villiers (72 not out off 37), RCB raced to the 182-run target in 19 overs despite being reduced to two for 18 in the third over. Delhi had scored 181 for four, largely due to the efforts of Rishabh Pant (61 off 34) and debutant Abhishek Sharma (46 not out off 19). The much needed win tonight was RCB's fourth in 11 games, keeping them in contention for a play-off spot. The loss for the hosts meant their campaign got worse as they registered their ninth defeat in 12 matches. The RCB chase was reminiscent of Sunrisers Hyderabad's effort here on Thursday when they hunted down a 188-run target with ease. The dew factor also played out in the second half of the game, just like the other night. The batting conditions were ideal and Kohli and de Villiers played shots of the highest calibre to enthral a full house. 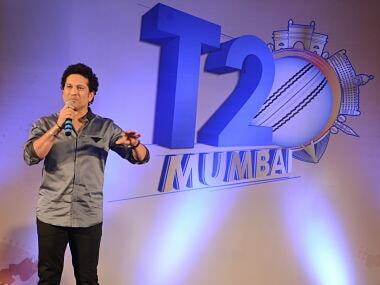 It was Delhi's home game but it seemed most of the fans had turned up to chant Kohli, Kohli'. Amongst Kohli's seven fours and three sixes, his front foot lofted drive over long-off stood out. As one would expect, de Villiers too came up with delightful shots, collecting four boundaries and six sixes in total. He ended the match with a straight hit over the fence off Trent Boult. Earlier, Pant continued his destructive form before Sharma impressed immensely on his IPL debut. Sharma was one of three IPL debutants for Delhi along side Nepal leg-spinner Sandeep Lamichhane and South African pacer Junior Dala. Lamichhane too stood out with his performance as he took Parthiv Patel's wicket and conceded 25 runs in four overs. Dala, on the other hand, was disappointing leaking 34 runs in three overs. Considering how easily Sunrisers chased down 188 in the previous game, Kohli opted to put the opposition in at the high-scoring Ferozshah Kotla. The RCB skipper started with spin and it got him instant breakthrough with Yuzvendra Chahal castling the talented Prithvi Shaw with a wrong one. A little later Chahal sent back Jason Roy in a similar fashion as the Englishman failed to read the wrong one off the Indian spinner's hands, leaving Delhi reeling at two for 16 in the third over. The dangerous duo of Pant and skipper Shreyas Iyer (32 off 35) then got together to resurrect the innings. They shared a 93-run stand with Pant doing bulk of the damage. Pant, who smashed an epic 63-ball 128 here on Thursday night, pulverised the visitors' attack yet again. The southpaw got going by depositing Mohammed Siraj for successive sixes in the eighth over, one came off a pull over mid-wicket and the other was a flatter hit over long-off. Pant raced to his fourth fifty of the season off 27 balls and was poised for another big innings. It only took a special effort to remove Pant with de Villiers holding on to a spectacular sliding catch at long-on. The other set batsman, Iyer, too departed soon after Pant's fall, hurting the innings momentum to leave Delhi at 120 four in 15.1 overs. That was when Sharma stepped in and took the opposition by surprise. The left-hander looked good from ball one when he smashed Siraj to the long-off boundary. 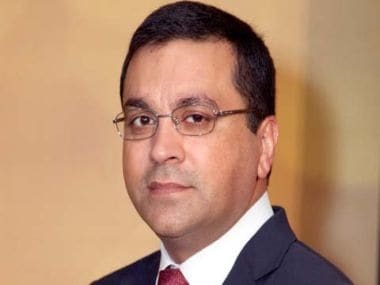 Luck was also on his side as Sharma was dropped by Siraj at third man and to add insult to the injury, the ball deflected from his hands to the ropes. Tim Southee was the unfortunate bowler who eventually leaked 22 runs in the 17th over with Sharma smashing him for two sixes in a row. The 17-year-old belied his age with such clean and powerful hitting in an innings that comprised four sixes and three boundaries. The last 29 balls fetched 61 runs for Delhi with Sharma and Vijay Shankar (21 off 20) sharing an unbeaten 61-run stand off 30 balls.